Pink napkin for decoration in size 24 cm. This is a great idea to quickly change the look of the interior. 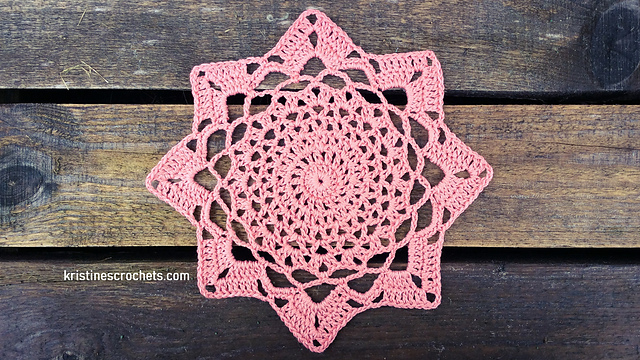 It is a free pattern to download. 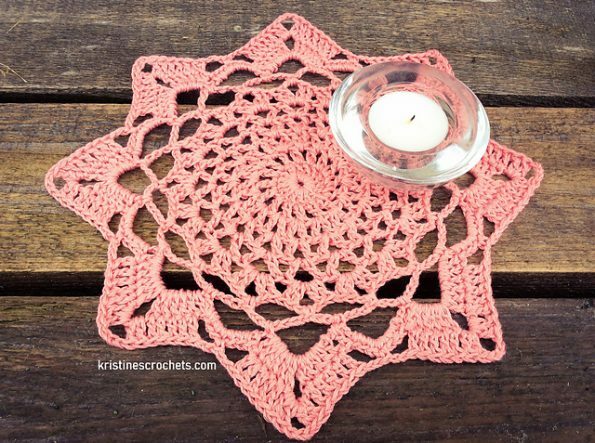 Lace napkin is easy and quick to make. This project is very pleasant to crochet. The author recommends Nako Fiore yarn. It is ideal for this type of decoration. If you have some free time, read this manual. Good luck!